The majority of legal experts in a recent survey by the American Bar Association said they believed the Supreme Court was likely to uphold the Affordable Care Act. And the conservative justice most likely to join the liberals, according to this survey, was Chief Justice Roberts. Roberts (and Alito) are of a generation of conservative lawyers who came of age in the late 1970s and early 1980s and gained their major government legal experience in the Reagan Justice Department. The Interstate Commerce Clause and the limits of Congress's power thereunder were less than afterthoughts to that generation of conservative lawyers -- instead, the notion that Congress can regulate interstate commerce at will was generally taken as a given and the argument about the proper scope of the Interstate Commerce Clause was (with one interesting exception) limited to the libertarian margins of legal scholarship. The main issues that exercised the Reagan Justice department were the scope of Presidential power versus Congress (especially the rollback of post-Watergate era restrictions on that power); environmental regulatory powers; the Voting Rights Act and civil rights laws generally, such as Federal court involvement in local school desegregation; affirmative action; abortion; and Federal campaign finance regulation. Most of those issues have been taken up by the Roberts court in one form or another and, under the Chief Justice's guidance, have produced some major changes in established law. But the path to decisions such as Citizens United has been paved with a steady and methodical approach to undermining the basis of unfavored decisions, rather than a sudden pronouncement that reflected the passions of the current Republican electorate. 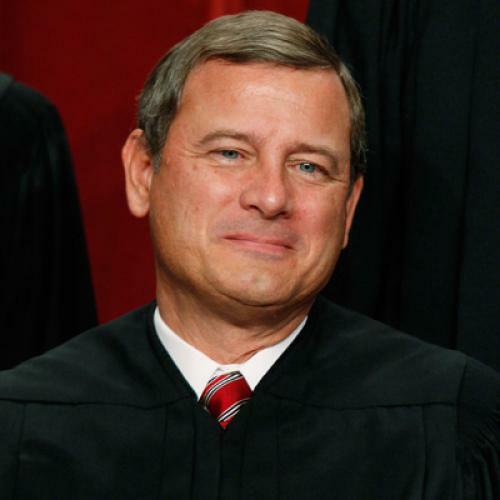 In this sense, deciding to abandon the established understanding of the Interstate Commerce Clause and to strike down the individual mandate on the basis of arguments that were fringe in conservative legal circles five years ago is not the Roberts way. Mentioning Lopez is also a good thing, since it brings up the one exception to the general conservative deference to the Interstate Commerce Clause during the 1970s and 1980s -- opposition to the Federalization of generic criminal conduct. One of the last dissents in an Interstate Commerce Clause case was that of Justice Potter Stewart (Sandra Day O'Connor's predecessor) in the 1971 case of United States v. Perez, which involved a Federal statute that criminalized loan sharking activities. Stewart objected to the creation of Federal criminal statutes soley on the basis of purported effect on Interstate Commerce, arguing that criminal law has historically been a state matter and that Federal criminal laws should be limited to issues affecting the interests of the Federal government rather than criminal matters that may somehow affect commerce. The Perez dissent planted a seed for the Lopez majority 20 years later, as Rehnquist and O'Connor used it to revive the view that Congress cannot Federalize criminal conduct by simply invoking the Interstate Commerce Clause. This trend was extended in the Morrison case, which struck down part of the Violence Against Women Act on the basis of unwarranted Federalization of criminal acts -- though it came to an abrupt stop with Gonzales v. Raich, when the Court had to confront the intersection of Federal criminal law based on the Commerce Clause with an activity (the growing of marijuana) that was already the subject of existing Federal commercial (and criminal) laws. There were two underlying rationates for the Lopez line of decisions -- a desire by Supreme Court Justices who had significant experience in state legislatures (Rehnquist and O'Connor) to re-assert the right of states to regulate conduct that had generally been left to state control, such as criminal law; and a desire to limit the case load on Federal courts, thereby preserving their viability and ability to expeditiously adjudicate disputes. Neither of those rationales is in place with the ACA appeal, which is a straightforward attack on the Interstate Commerce Clause that hearkens back to the New Deal. A historically minded judge -- such as Roberts -- will be well served to recall the difficulties that Federal courts encountered during the 60 years preceding Wickard in distinguishing between Federal statutes that legitimately affected "commerce between the several states" and those that allegedly did not -- cases involving things such as antitrust laws, the Pure Food and Drug Act, restrictions on child labor and alcohol distribution and the creation of the NLRB. That is another reason for why the Roberts Court will, in my opinion, decide that legal challenges to the individual mandate are too much of a departure from legal precedent and too fast of an assault on the citadel of Federal powers. Such a decision would be profoundly conservative -- in the best sense of the word.